While using VPN for stealth and PayPal like applications where a mistake can lead to the closure of an account, it is very important that you never forget to turn on the VPN. OpenVPN client does not have a direct feature to auto connect on startup. 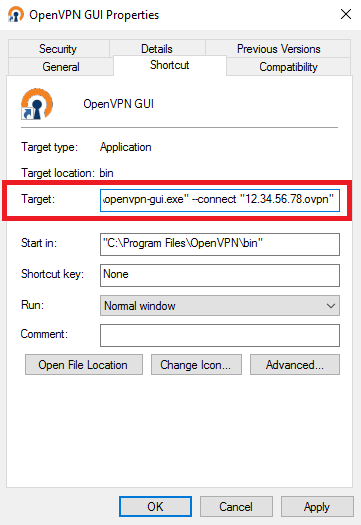 Follow the below-given steps to auto connect your VPN on startup using OpenVPN client. This is a necessary step. We have to disable the software's auto launch from it's settings. Since, we are going to setup a custom way instead, which will allow us to auto-connect to an IP. 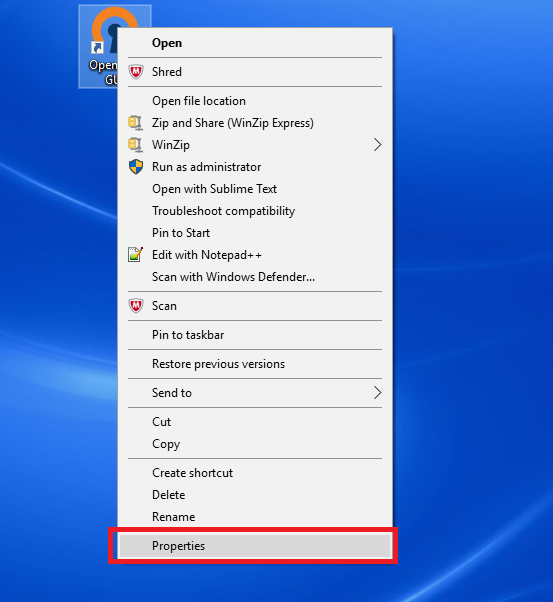 Right click on the OpenVPN GUI symbol in the taskbar and click on settings. 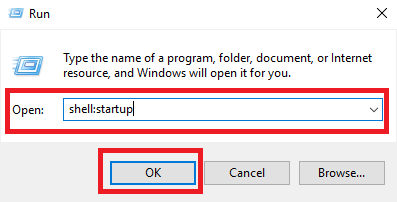 Uncheck the option 'Launch on Windows startup'. 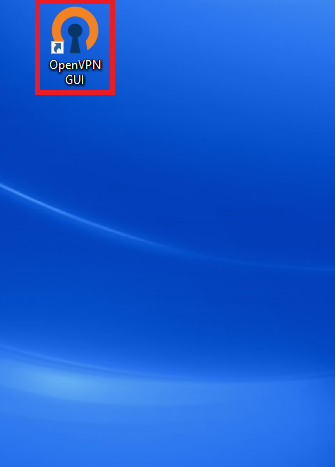 Exit OpenVPN GUI from the tray icon. 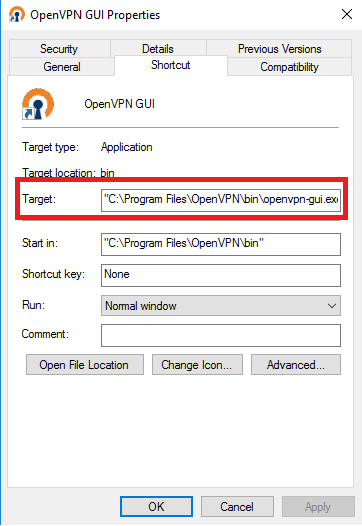 Right click on the OpenVPN GUI shortcut on your desktop. Target will be showing "C:\Program Files\OpenVPN\bin\openvpn-gui.exe". At the end add: --connect "<ip to autoconnect>.ovpn"
Put any of the IPBurger IPs you want to auto connect instead of <ip to autoconnect>. Now, please test to check what we have done is correct. Open the OpenVPN GUI shortcut that we edited in the previous step. This should automatically connect to the IP that we mentioned in Target. Proceed only after the IP gets automatically connected on opening the OpenVPN shortcut. 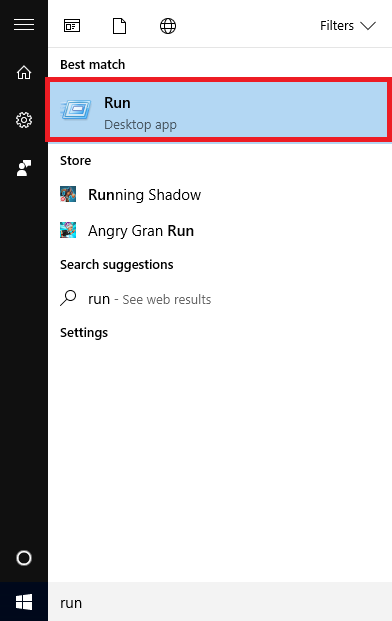 Open the start menu and search for 'Run' and open the Run app. Under Run type: "shell:startup" and click "OK". This will open up a folder called Startup. 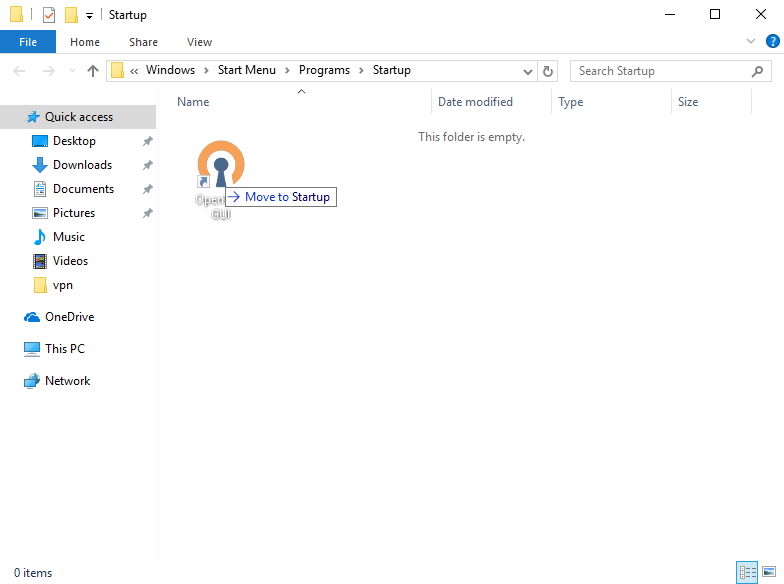 Copy the OpenVPN shortcut that we edited in the above step. You are done. 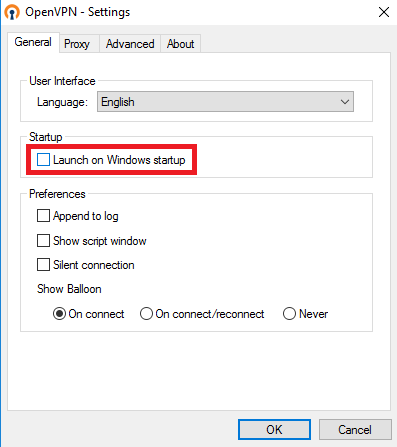 Restart your computer and you will see you get connected to VPN automatically on startup.